According to a report entitled "Food, Nutrition and the Prevention of Cancer: A Global Perspective" published by the American Cancer Society, as much as 30 to 40 percent of cancers are linked to diet choices. The society's dietary guidelines place great emphasis on an increased diet of vegetables, fruits, legumes, and grain-based foods. 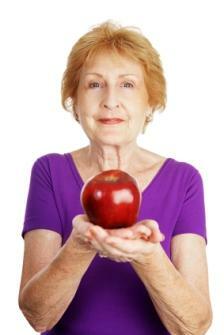 A cancer prevention diet focuses on healthy eating and avoids foods high in calories and fats. Eating a healthy diet offers plenty of long term benefits as well. Guidelines for healthy eating that focus on cancer prevention are simple to understand and follow. Reduce foods high in fat.-The cellular structure of foods high in fat content play an important role in the formation and development of cancer cells. Fat cells can easily split and contribute to a high frequency of what is known as free radicals. These free radicals are actually molecular fragments that can damage a cell's DNA makeup, possibly causing a mutation that results in cancerous cells. This is why it is so important to limit saturated and trans fats in your diet to no more than 30 percent. Reduce meat consumption. This is especially important in regards to meat with high fat content. When you do cook meats, do so by baking, poaching, or broiling. Choose healthy meats, like turkey, chicken, and fish as opposed to red meats. Limit your meats to only one-third or less of the foods you place on your plate, and instead fill up on fruits and vegetables. Avoid carcinogens, which are cancer causing substances. These carcinogens can be found in the following: moldy foods, preserved or dried meats, foods cooked in highly heated oils, and smoked foods. Battle free radicals with nutrients. You can sometimes reverse the dangerous affects of free radicals by filling up on foods full of nutrients or anti-oxidants. Vitamins A, B, C, D, and E, as well as folic acid, calcium, selenium, zinc, and beta carotene can be found in fruits and vegetables. Watch food storage. Pay attention to how you store food, whether it be uncooked or leftovers. Don't leave perishable foods unrefrigerated for more than two hours in temperatures between 40 and 90 degrees F. or for 1 hour in temperatures 90 degrees or above, according to the Food Safety and Inspection Service. Limit alcoholic beverages and cigarettes. While it has already been proven that cigarette smoking and alcohol are related to cancer, those who combine alcohol with smoking are at an even greater risk for developing cancer. Consult your doctor about starting a vitamin regimen. Dietary supplements and vitamins can also help you maintain a healthy diet, and may be a necessary addition to a cancer prevention diet. Even if you are eating a healthy diet, your active lifestyle may dictate a need for additional vitamins and minerals. Lower your salt consumption. Don't automatically grab that salt shaker. Your salt intake should only be 6 grams or less each day. Keep in mind that some foods are already salted, and you should take that into account when attempting to figure your grams of sodium per day. Eat five servings or more of fruits and vegetables every day. Choose foods from other plant sources. These could include whole grain breads, cereals, rice, and legumes. Avoid foods that contain sugar and white flour, such as sweets, pastries, soft drinks, etc. Eat foods that provide plenty of fiber to your diet, including fruits such as apples, bananas, prunes and citrus fruits; vegetables like broccoli, carrots, tomatoes, lima and kidney beans, black-eyed peas, and lentils; and whole grains such as nuts, barley, and oat bran. Consume healthy fats, which can be found in sunflower, canola, olive, and soybean oils, and spinach and mustard greens. Up your omega-3 fatty acid intake by eating fish and fish oils. A diet rich in life healthy foods can help you prevent the risk of cancer.